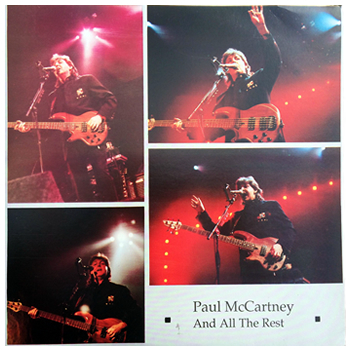 2-LP collection of television performances and alternate mixes. Tracks 1-11 on side 1. Tracks 12-20 on side 2. Tracks 21-26 on side 3. Tracks 27-33 on side 4. Estimated release date known to be between 1990 and 1993.